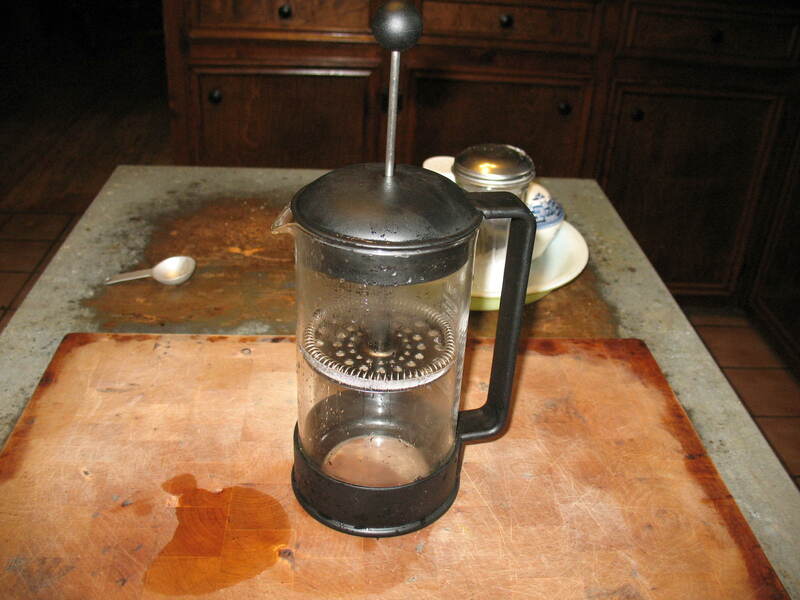 If you drink coffee, tea, or herb tea; the French coffee press is the most prepper friendly device for preparing it. 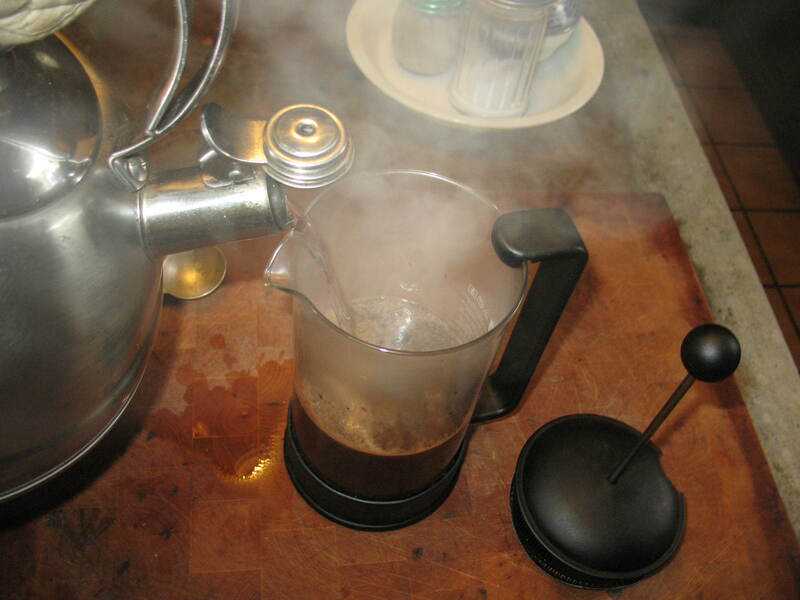 I used to think that a French press was something that was just for coffee snobs, but then my wife, who is kind of a coffee snob, brought one home. I immediately saw how wrong I had been. 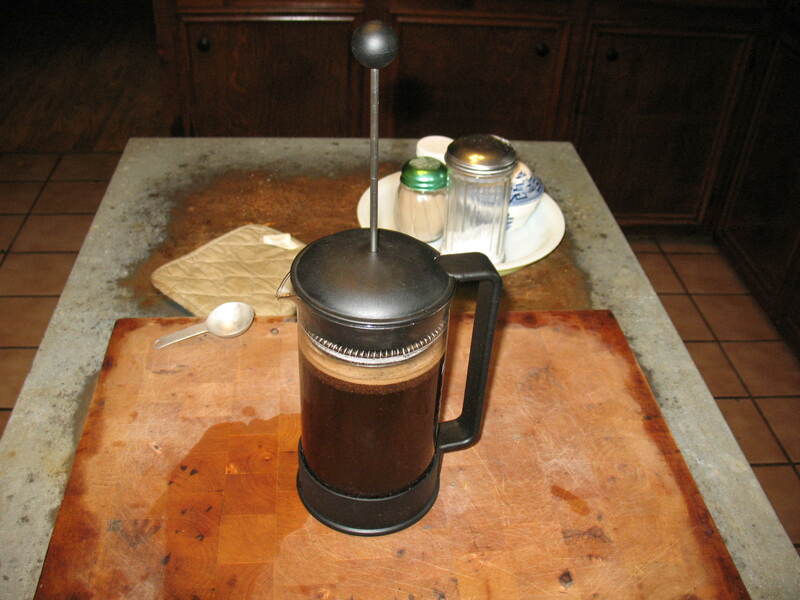 The French press is such simple and effective tool that I went out and bought another one to put in my back-up supplies. 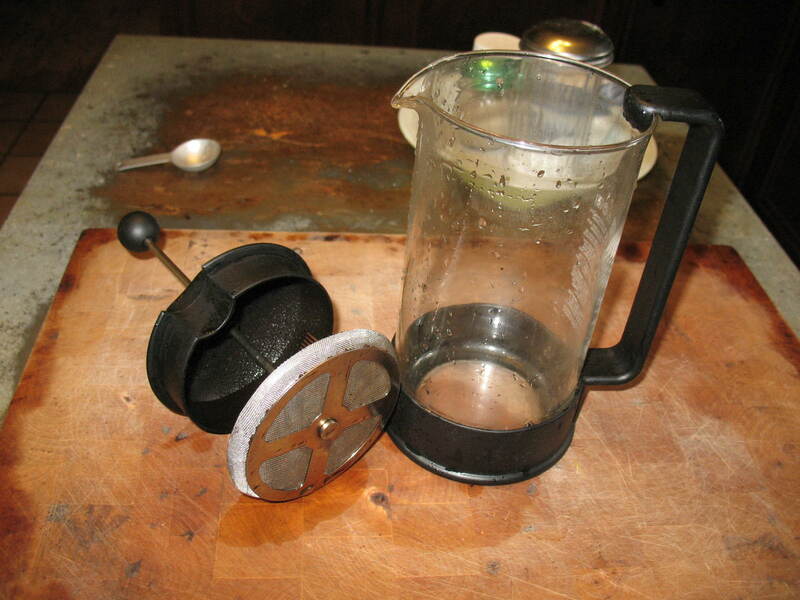 How does a French press work? It’s basically just a glass cylinder with a lid on it. In the middle of the lid is a hole. Coming up out of the hole is a plunger, and on the bottom of the plunger is a fine mesh screen that fits down inside of the cylinder. That’s it. Only one moving part, no electricity required, and no coffee filters. 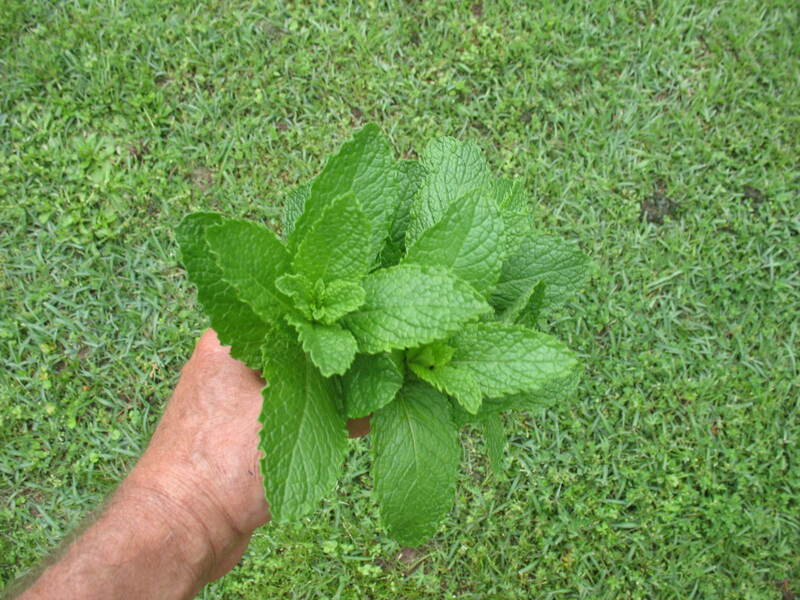 What could be better for a prepper? 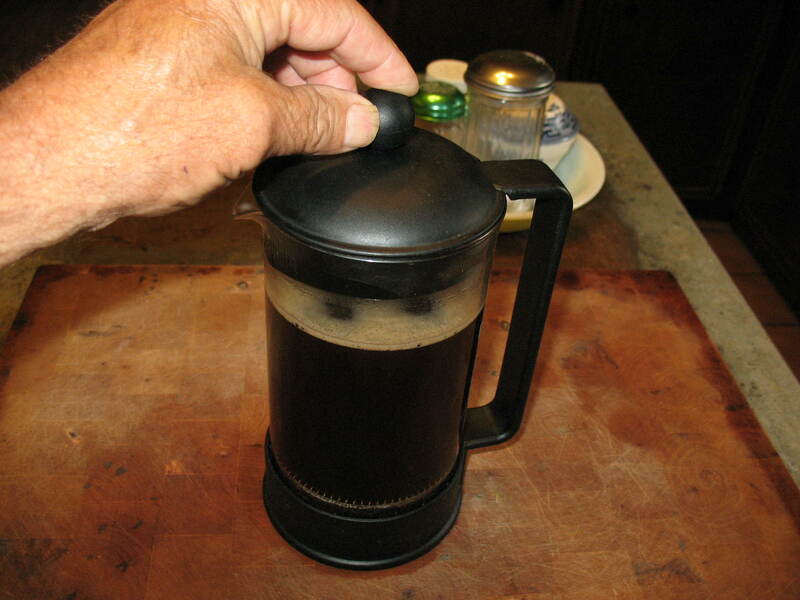 Take the lid off and pour your ground coffee into the cylinder. 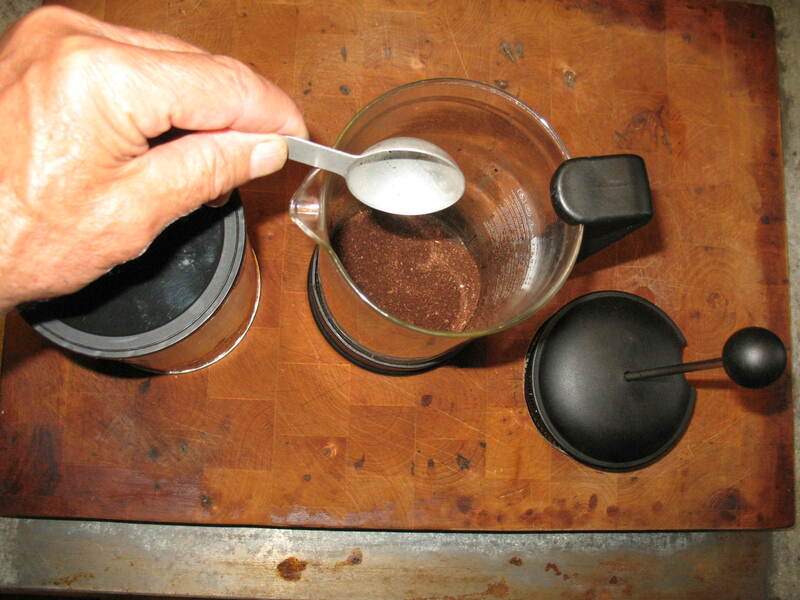 I use three heaping tablespoons to make about a quart of coffee. 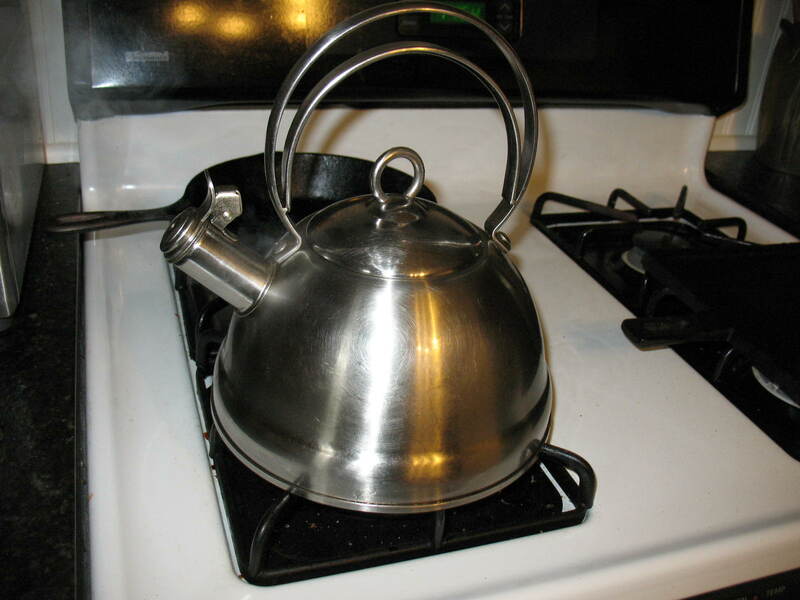 Put your kettle on the stove or campfire and get the water boiling. 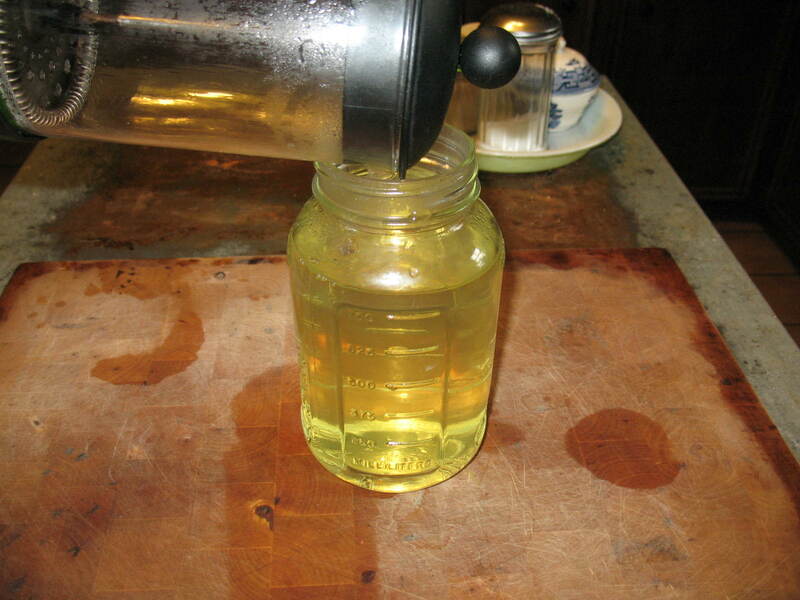 Pour the boiling water into the cylinder, filling it to about an inch-and-a-half from the top. 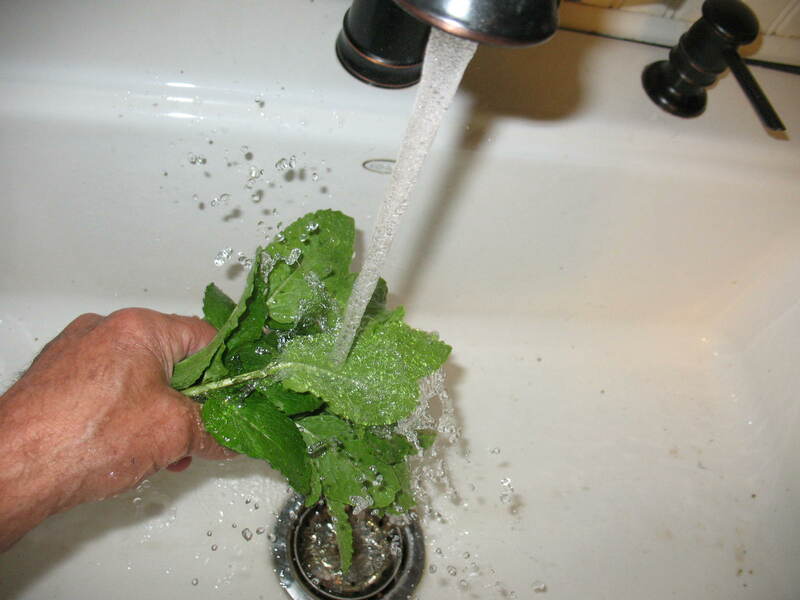 Stir the coffee grounds a little to get them distributed evenly in the water. 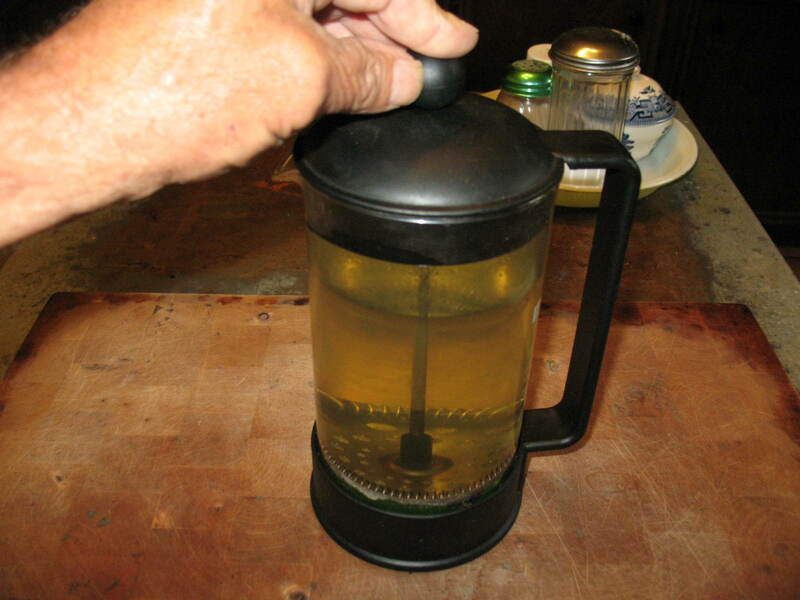 Pull the plunger on the lid all the way up and put the lid on the cylinder. 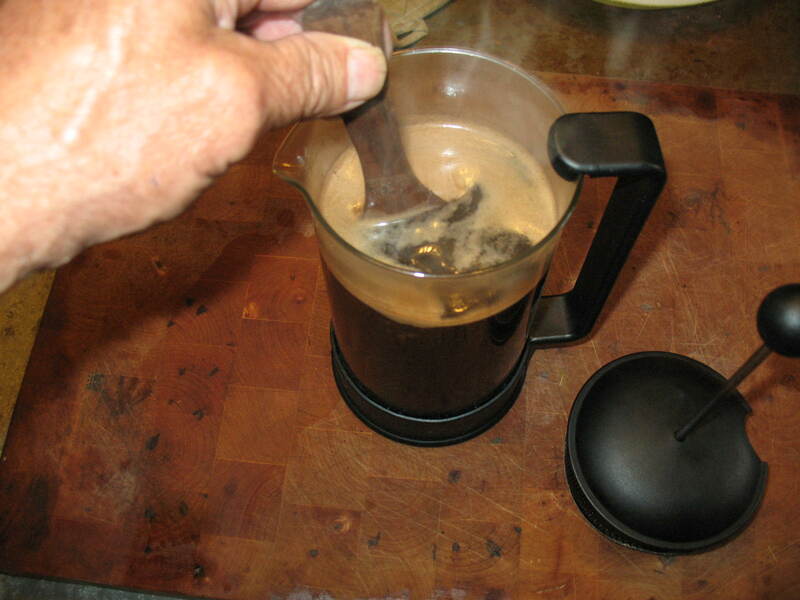 Now the hard part, let the coffee steep for four or five minutes. After five minutes push the plunger down. The screen will push all of the coffee grounds to the bottom of the cylinder and hold them there. 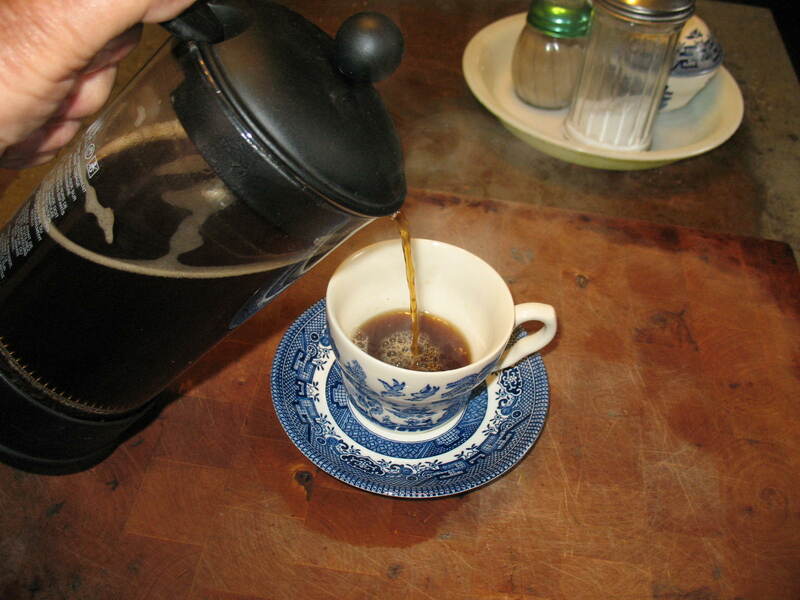 Pour yourself a cup of hot coffee. 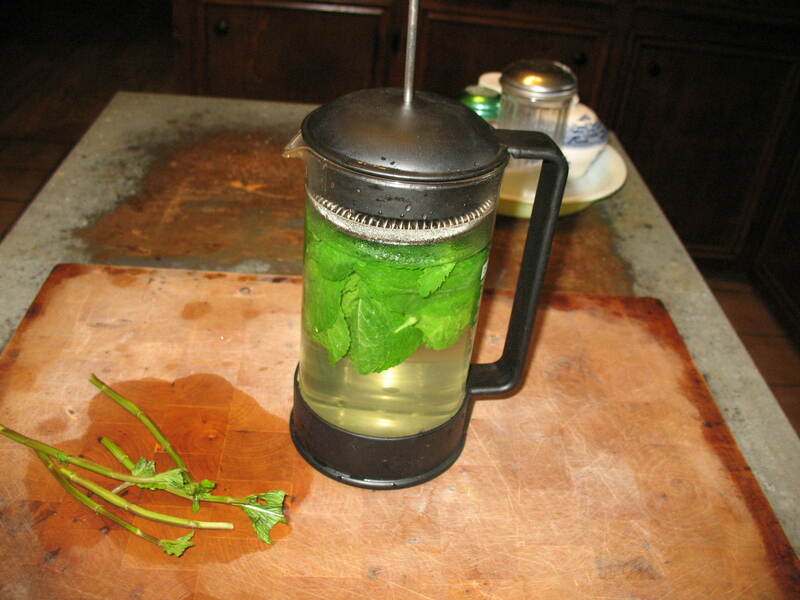 It’s just as easy to make herb teas with the French press. 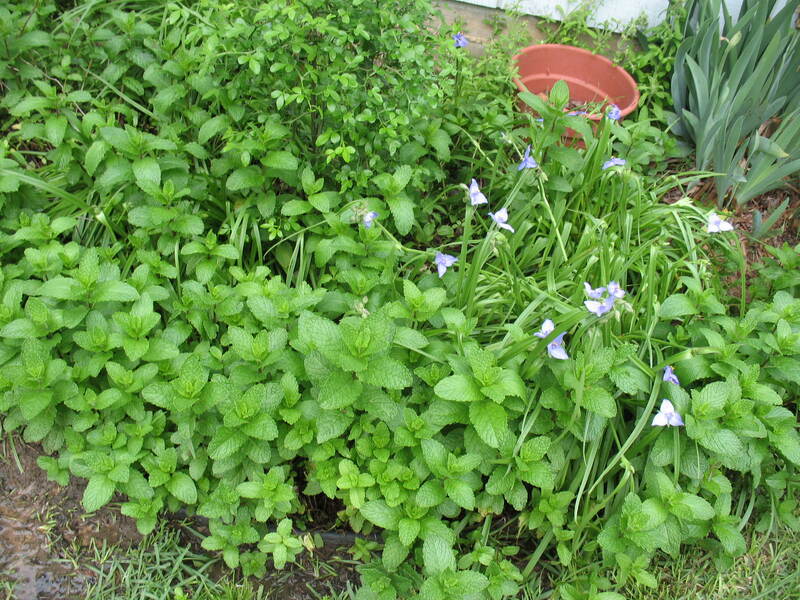 In the pictures below I’m using some fresh mint from my mint bed to make a quart of nice, clean, mint tea. 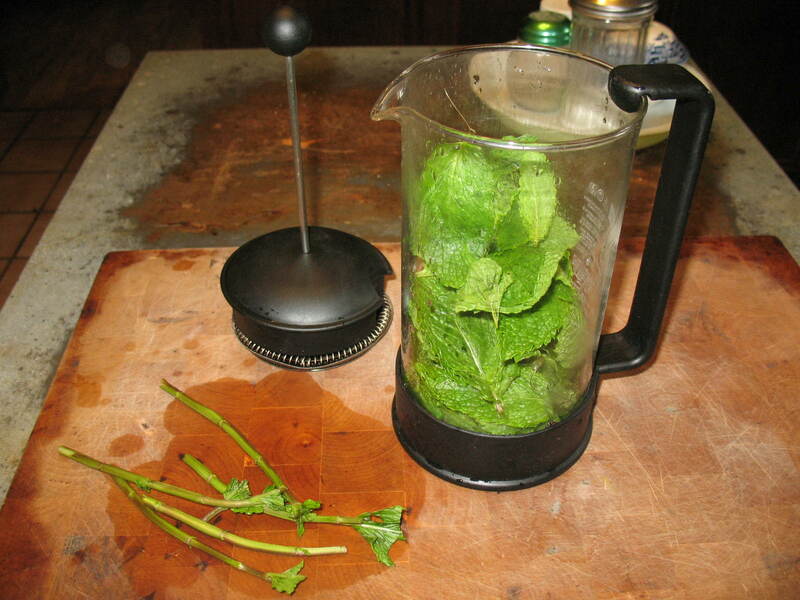 If you don’t have a French press, get one. In fact get two of them. There may come a day when you wish that you had one.